Are you going after your goals in secret, all by yourself? Do you worry about what people think about you and your dreams? We spend a lot of time thinking about other people when we’re goal setting. We worry about what they’ll think if we tell them about our goals, we compare ourselves to them, and we fret about our responsibilities to our families, partners, and children. Instead of thinking about how all the people in your life will hinder your abilities to achieve your goals, you need to start thinking about how they can HELP you reach your goals. No one achieves their goals in a bubble all by themselves. That’s a surefire way for your goals to POP. You can’t do this alone! You cannot achieve your goals all by yourself. You’ve no doubt heard that it takes a village to raise a child, well I know it takes at least that much to bring your goals to life. You may be the secret sauce, but you’re going to need help to make this goal a reality. I get it, you’re nervous about your goal, it’s this bright and new idea, it can feel fragile and you’re reluctant to tell anyone about it. So you “sshhh” and you keep it secret. But here’s the thing about secrets, we usually don’t talk about the things we’re ashamed of or unsure about. We can’t keep from blabbing to anyone and everyone about what excites us and what we can’t wait to happen. Are you excited about your goal? Get hype, start by telling someone about it or shouting it from the rooftops of your social media accounts. Talking about your goal exercises your confidence to achieve it. I know that for myself I wouldn’t have had the gusto to even get started, much more keep going without a little help from my friends. And neither will you! 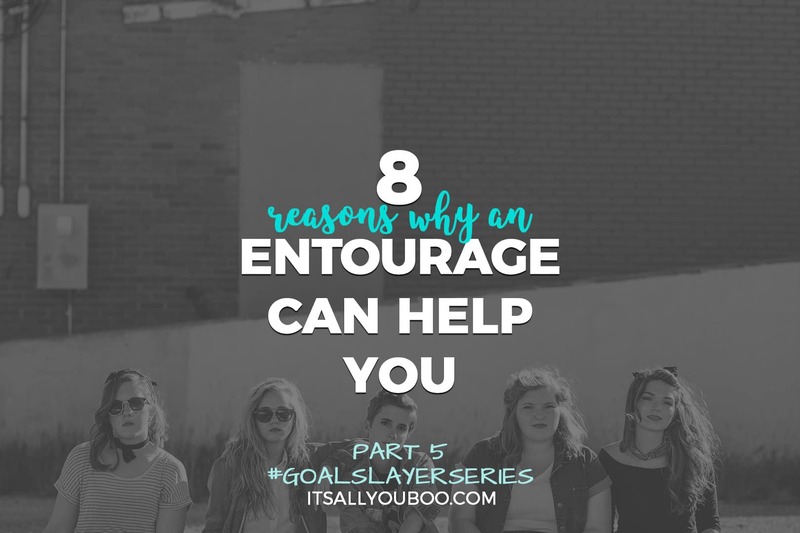 You need an encouraging entourage in order to achieve your goals. And least one accountability partner! Are you trying to achieve your goals all by yourself? Have you told anyone about your dreams and goals? I know that it’s scary to open up about goals that you have, but you need someone you can trust. Did you know that people with companionship live longer than people who are alone? Experience has taught me that it’s the same principle with your goals. This is Part 5, of a 6-Part Series on How to Actually Achieve Your Goals. 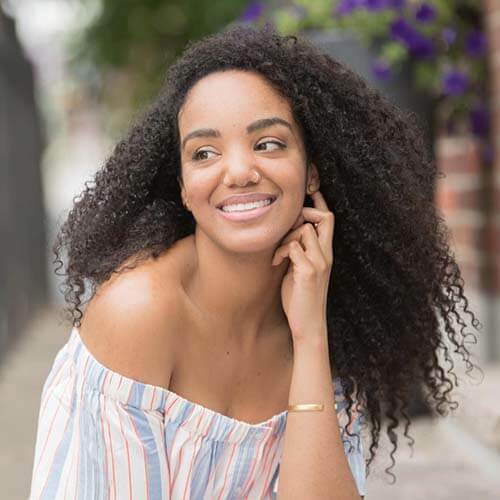 Let’s continue our journey to goal slaying, by learning why sharing your goals with someone you trust, and having accountability help you achieve your goals. Start with one person you can trust, then build your community, an “entourage” of support. 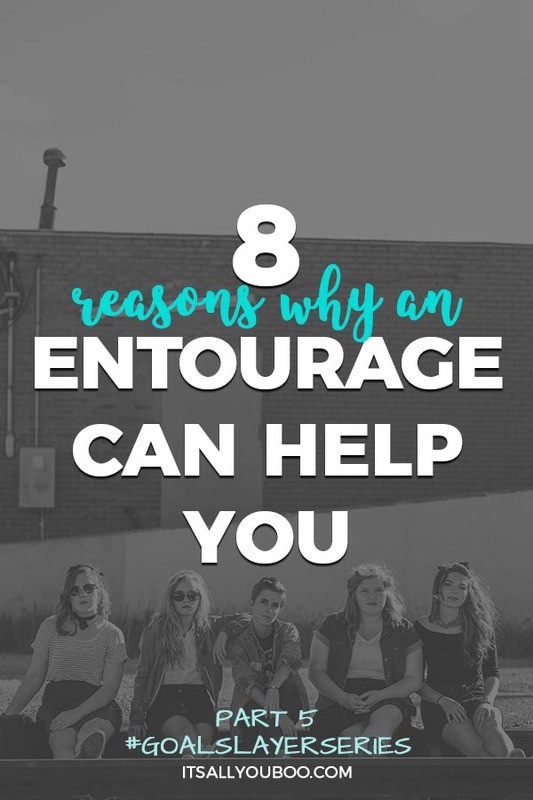 An entourage is a group of people attending to and surrounding an important person, that person is you and your goal. To encourage you, to give you support, accountability and more. You’re starting to feel like you can really do this! You’re ready to step out, but maybe you need a tiny push from someone you trust to get you out the door. I know that I did. I remember talking about how unhappy I was in the 9-5 with my sister-in-law and she turned to me and said, “you can do it you know? !” My brain literally short-circuited a little bit, I can do this? You really think I can do this. That one word of encouragement echoed in my mind. I already had the idea in my mind, I’d been playing with the thought of starting something, but hearing someone who knows me tell me they believed in me flipped a switch. Who do you have in your life that believes in you? Remember how you’re feeling tired, exhausted and not sure you have the time or energy to accomplish your goals? You need help, a support team on site to help you. The people in your life don’t know how they can support and be there for you if you don’t ask. You’ll need to ask your partner, spouse, parents or grown kids to step up so you can have time for yourself and to dedicate to your goals. As your goals and dreams get bigger (and they will!) you’ll need a support team to help you bring it to life. More things to get done, need more hands on the wheel. If you’ve got a blog or business, you can turn to an intern, hiring a VA or even enlisting the help of your friends and family. Who can you turn to and ask for help? We’d love to believe that we have all the self-control in the world and that when we’re going to work towards our goals, that we will just do it, without anyone checking in on us. If only that were true, and even if it was, having an extra layer of accountability helps even more. The problem with not inviting someone in on your goal slaying process is that you don’t have to answer to anyone but yourself. You’re the boss, you can work or not work. There’s no one to question what you’ve done or haven’t done. It’s just you. Which can be freeing, but when it comes to making steady and consistent progress it can be dangerous. You need to be accountable to someone, other than yourself. Someone needs to know what you’re working towards on a daily basis. And you need schedule regular check-ins with each other, weekly if possible. I have weekly calls with my accountability partner who’s working towards the same goals as me. On our calls we set goals, we vent about the week, provide updates and give advice or feedback. We usually also message each every couple days over Facebook Messenger. It’s not just me in this, we’re in this together. Who are you in this with? Reaching your goals ain’t all roses, there will be days you’ll want to give up and when you feel like you can’t keep going. Sorry, but it’s true! But know, that it’s all part of the process. In these down times, you need encouragement to pick you back up. No matter how high on life you are, it never hurts to hear that you can do it, that you’re doing amazing or that you got this! And in case no ones told you that recently, allow me to encourage you on. You’ve got this, boo! I’ve had days where I’ve been down and out, burnt out and exhausted AF and no matter what I didn’t feel like it. Maybe feeling disappointed with myself or how I’m doing. In this downward spiral, where you just want to lay on the floor for a bit longer, you need someone who can tell you to keep going, to get up. I know I have a few friends on speed dial. Do you have someone who can pick you up when you’re down? And there will be ups too on the journey to accomplishing your goals. As ambitious people who are often way too critical of ourselves, we really need to embrace the ups. We need to celebrate them, cherish them and mark them in our memories. A great way to celebrate your achievements is to share them with your cheering section. A tiny accomplishment for you might not seem like much, but to a spectator of your journey, it can be huge. You need that enthusiasm and fresh eyes from your fans. My cheering section comes mostly from WhatsApp groups. I share most accomplishments inside my family chats and the ones I have with my coaching clients. You need this pat on the back. They may not know what getting on page one of Google results means, or why UVM stands for, but they celebrate it. Who’s in your cheering section? Are you struggling to make a choice or know what to do next? Maybe you’ve been debating and planning an idea for a while now? It’s time to get some honest feedback from your entourage. You need someone in your life that can help guide you and make decisions. Every now and then you’ll need some honest feedback on your ideas and plans. You need to have the ear of someone you know will give you honest advice, not just be a “yes” person. I know it’s hard to take criticism and not let it discourage you, but it’s all part of the process. Better to get feedback instead of wasting time in indecision. Before I even started this website I had a top-secret list of friends who I emailed drafts of my content to. They gave me feedback. I do the same thing now with products and ideas I have. Who can you go to for honest advice? Most of us are in this on our own. We’ve set goals and we’re working towards them in secret. Maybe you don’t know someone who has the same or similar goals as you? Community makes everything not only more enjoyable but less lonely. It’s not good to be alone with your goal, not good for your ability to achieve it or your mental health. Being alone with your goal can lead to unneeded stress and even depression. You need someone who gets it without you having to explain, who understands what your struggles are first hand because they’re going through it with you. As a blogger/entrepreneur working by myself in my home office, there have been many times I’ve started losing it and having someone who gets what it’s like to have this dream and be giving all you have. I’m blessed to have my partner in hustle who I have regular work sessions with, and my BBFF (blogging best friend forever) who just gets it. You know how you love to research and learn more about how to achieve your goal? The problem with our research obsession is that we usually end up chasing shiny object after shiny object, without every implementing what we’ve learned. What if you had someone in your life who has accomplished the same goal as you? Whose methods you can follow and stay committed to. Find someone you trust, who resonates with you and whose advice you’ll actually follow. Accountability is great, the community is even better, but you also need a mentor. They’ve been where you are now, and sometimes the only shortcut there is, is actually sticking with one person’s advice and seeing it through to results. Who is sharing their shortcuts with you? To build your own entourage to help you reach your goals, start by opening up to one person who loves you and whom you trust. Start by asking yourself, who can I ask for help and invite in on my goals? It’s less scary when you share your ideas with someone you know will support you no matter what. I don’t recommend starting by publically accounting your goals. When you find your person, that can be a friend, partner, family member, or mentor who loves and supports you, ask them out to coffee to chat about your dreams and goals. Then start reaching out to friends and family to see if anyone has similar or the same goals as you. You never know who you’ll connect with, or who they might refer to you. Just start talking about your goals with excitement, pouring positive energy out and you’ll find who you need. If there’s no one in your inner circle consider joining a group coaching program or mastermind group of like-minded people. In order to reach your goals, you need to surround yourself with positive people and consequently, isolate yourself from negative influencers. For you, this might mean that some of your present company needs to go. When you start inviting positive people into your life, you need to also remove the negative ones or this won’t help you succeed. You’re trying to shift the tide of your life, and reaching your goal is going to require a lot of positive reinforcement and that comes from who you surround yourself with. The sad part is not everyone in your life is going to support you, not everyone is going to want for you to succeed or even believe that you can. We’re hard enough on ourselves and create enough negatively all on our own, we do not need anyone else’s “help” in that department. And you already know who they are, they’re the ones who gossip about people, who take every opportunity to criticize and comment, instead of complimenting. Ask yourself, are they going to guilt, shame or mock you for your goal? Or stand by your side cheering you on? You’re attempting to change your life, and depending on your goal that could also mean changing your lifestyle and your behavior. If you want to be healthier, you’ll likely change your diet. If you want to get out of debt, you’ll probably stop spending. Will they make you feel bad or good about that? Be very careful in who you invite into your entourage. Keep yourself away from anyone who cannot support you 100% and be on your team. Ready to build your entourage of accountability and support? 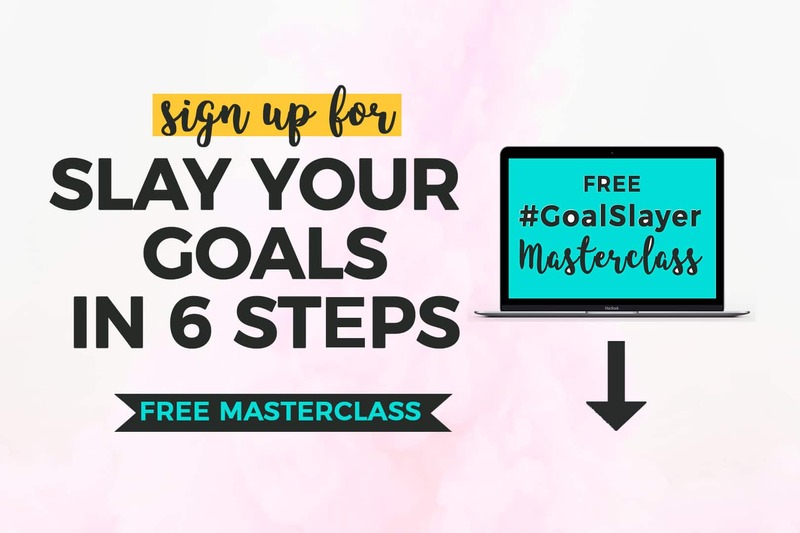 Sign up below for the FREE #GoalSlayer Masterclass. This is such a good post!! 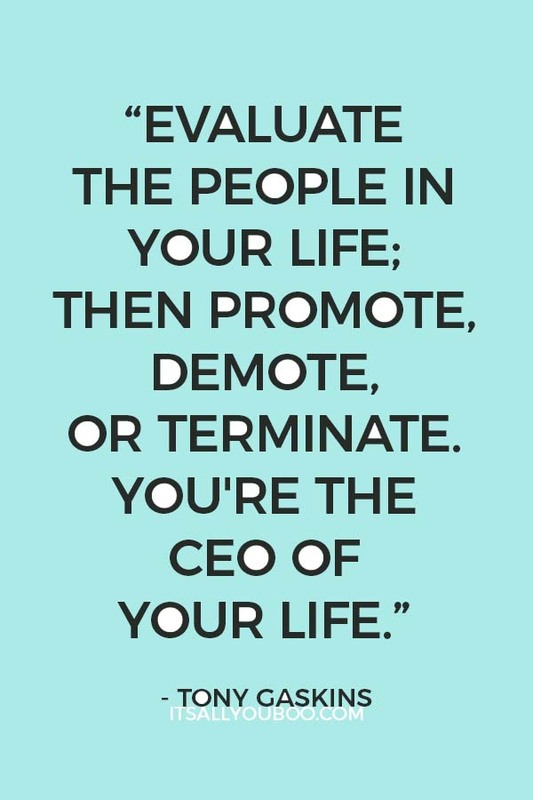 I am definitely guilty of underestimating the power of PEOPLE in my life. I’ve always been very shy about my blog and up until recently, only my family and one friend knew about it… now two friends know about it xD. BUT, telling that one friend about it and hearing them be really impressed by it and just having them cheer me on really sparked something inside of me. 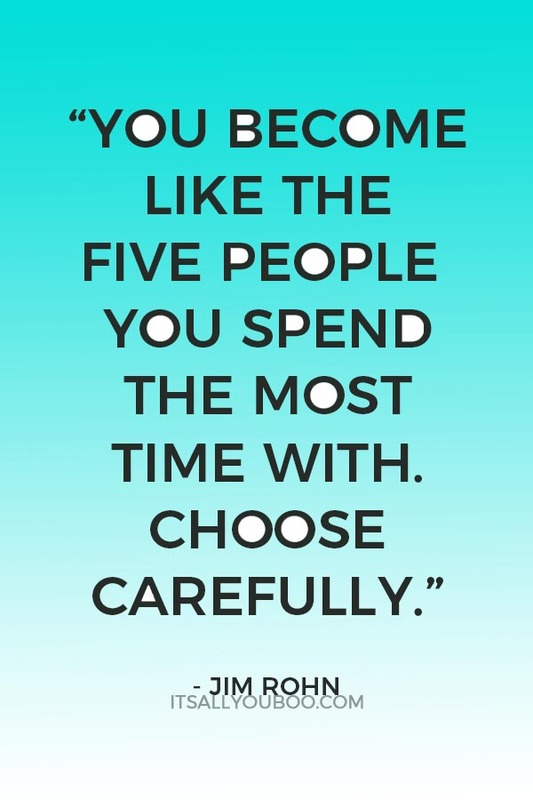 And it makes me want to build this circle of people who I allow into this part of my life. I’m definitely pinning this for inspiration when I need it! Thanks so much for the blog love! I’m so glad that you’re starting to open up about it. I believe that when we’re brave and share others are inspired to do the same, it ripples. Love that you’re building your circle. And hey, at the very least who doesn’t love extra readers for our blog posts? I know that my friends were my OG email list. I definitely agree that you need a “cheering section” in your life. I belong to a group of friends who talk about fitness goals (and sometimes fitness “fails, ha) and it’s been helping me work out more. 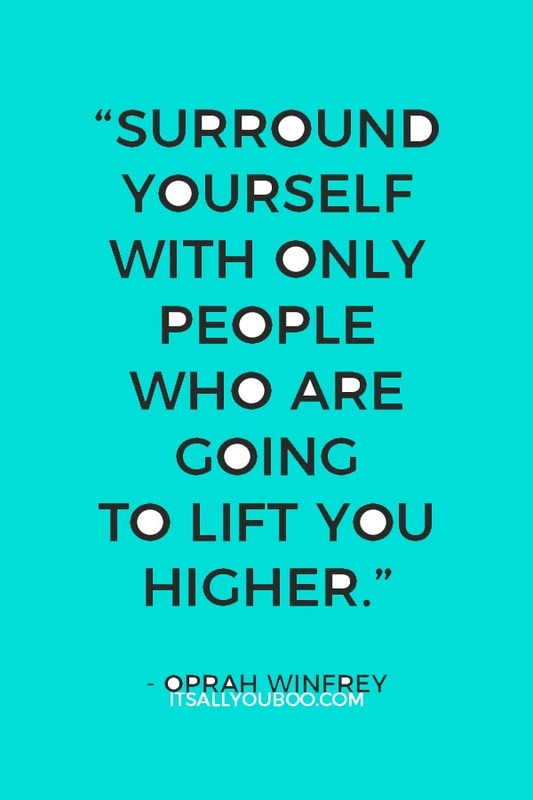 I also believe in your “surround yourself with positive people” mantra. If there are people who don’t want you to achieve your goals, then you don’t need them in your life. Cheering sections make everything better. Imagine a game without audience participation, pretty quiet and boring I’d think. 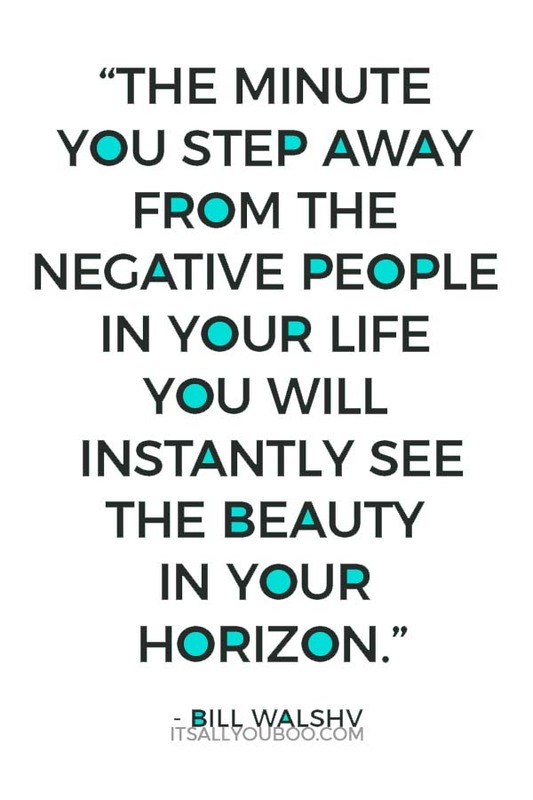 Amen to that – those negative influences need to go! Such smart words of wisdom. I’m always afraid to ask people for help because I think they’ll think I can’t do it on my own. As you very aptly point out, we simply can’t do it alone. Thanks for the reminder and the great tips. I know it can be nervewracking sometimes to ask for help, so don’t start with a big ask. From my own experience, the people in our lives are curious and genuinely interested in what we’re up to. You’d be surprised who is willing to pitch in. Start with someone you trust and you know will support you. We all need someone in our corner or even some ONES! More the merrier right? My entourage is ready to have my back but also give me honest feedback on anything I am working on. That is super important. I have an entourage too! One of them, I talked to every day. We are there for each other and help each other with even the questions we can answer ourselves – just to make sure we are doing the right thing. What would we do without anybody to help us move forward with our goals? Yay for having an entourage. I know I’d still just have the idea of starting a blog, but no actual blog, that’s for sure! That sounds lovely! I so need to find me one of those. But for now, I suppose I’ll make do with my awesome support system of friends and co-hustlers. So happy that you have your entourage of one. It’s amazing the difference ONE person can make. I agree one hundred percent!! A great support system when doing your goals is always important. 100% with you too! I wouldn’t be here without them. I have a very close knit squad where we do moral support to each other. As they say, squad goals. I make sure we really help each other especially on tough times. Love the squad! Having a support system is the truest squad goals we can have. Oh my gosh! I have spent a good year being a part of this! My friends are my rock and without them, I seriously don’t know how I would be right now. No matter what age you are or what you’re going through, they can definitely help spring you back into life. What an amazing post! I love all the quotes too and yes, it definitely does take a village! That’s for certain! You are such a talented writer. I really love how well thought out all your posts are. I know whenever I come here, I’m going to get something thought provoking! Love love love your blog! Love to hear that you have such incredible friends.